Consider the paper ”iTETRIS: A modular simulation platform for the large scale evaluation of cooperative ITS applications” as the reference document for citation when performing simulations with iTETRIS platform. Please cite iTETRIS in all your publications making use of the platform as follows: M. Rondinone, et. al. Here you have available the Integrated Wireless and Traffic Platform for Real-Time Road Traffic Management Solutions. It is the exclusive platform for evaluating at city level the benefits and impact of cooperative ITS systems. Behind this community are Thales Communications France, Innovalia Association, Deutsches Zentrum für Luft und Raumfahrt, University Miguel Hernandez de Elche, Hitachi Europe SAS, Peek Traffic, Eurecom, CBT Communication & Multimedia and Comune di Bologna. A flexible simulation platform, ETSI standard compliant, which satisfies the need of road authorities and researchers to estimate road traffic engineering applications in terms of the actual worthiness of investment and effectiveness in large-cities. iTETRIS integrates wireless communications and road traffic simulation platforms in an environment that is easily tailored to specific situations allowing performance analysis of cooperative ITS at city level. The accuracy and scale of the simulations leveraged by iTETRIS will clearly reveal the impact of cooperative ITS assisted-traffic engineering on city road traffic efficiency, operational strategy, and communications interoperability. Cooperative ITS city level evaluation. Large scale evaluation of Cooperative ITS strategies (25.000+ vehicles and city level) pose unprecedented challenges in terms of simulation complexity and wireless communication modelling accuracy. iTETRIS through its unique and interoperable architecture meets such challenges. iTETRIS ETSI ITS Architecture Compliance. 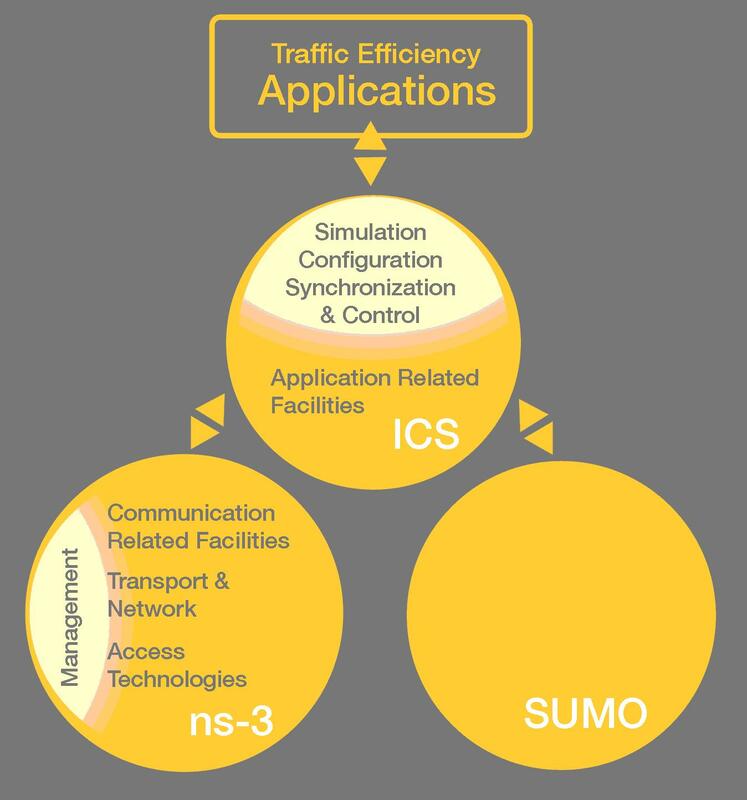 iTETRIS is aligned with the communication architecture defined by ETSI for Intelligent Transport Systems (ITS). The standard specifications concern a communication system designed for various types of traffic applications which can use several coexistent communication technologies. The architecture assumes three different actors communicating in an ITS scenario, each representing a given subsystem: vehicle, roadside and central subsystems. 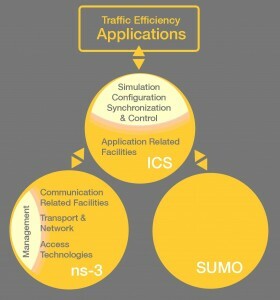 Easy integration of traffic and network simulators. iTETRIS architecture is highly modular and flexible and permits the integration of a wide variety of network and traffic simulators through an open APIs. The operation of the simulators is governed through a general module, the iTETRIS iCS. Please, go to Support section. Fill and send us the questionnaire in order to register in iTETRIS community. Once you are member of the community, the platform will be available for you!